Following the first set of pens celebrating the great houses in Game of Thrones, Montegrappa issues a new series of limited edition Iron Throne pens. Capturing the essence of the most coveted seat in Westeros, the Iron Throne pens will provide fans with a talisman to cherish. At the cap’s top, surrounded by the swords’ hilts, is the Game of Thrones logo. The pen’s barrel, a truly virtuous artwork fashioned in precious metal with the lost-wax casting technique, represents the saga through symbols evocative of the houses, from dragons to stags. Details of the pen are enriched with Flaming White celluloid. The Iron Throne Pen is limited to 300 fountain pens and 300 rollerball pens in Sterling Silver with Vermeil accents, denoting the year of settlement of the last of the Targaryen Kings (300AC). 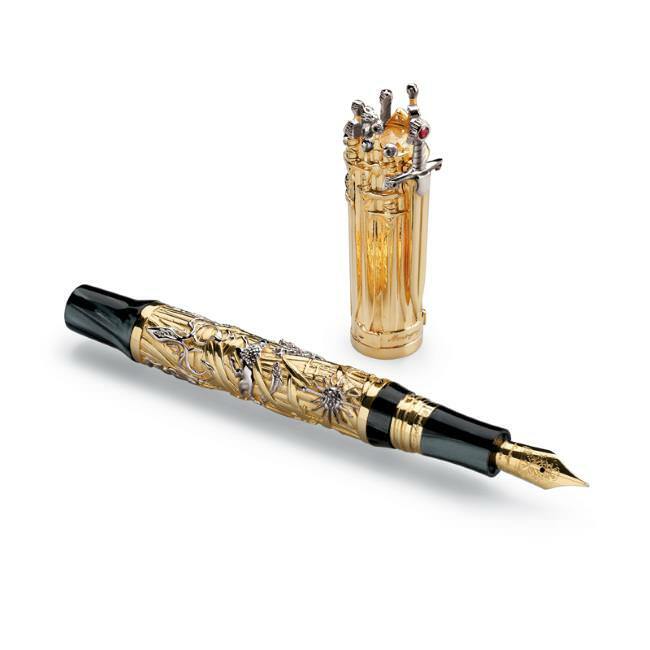 7 exclusive fountain and 7 rollerball pens cast in solid 18k Gold represent the number of Kingdoms. 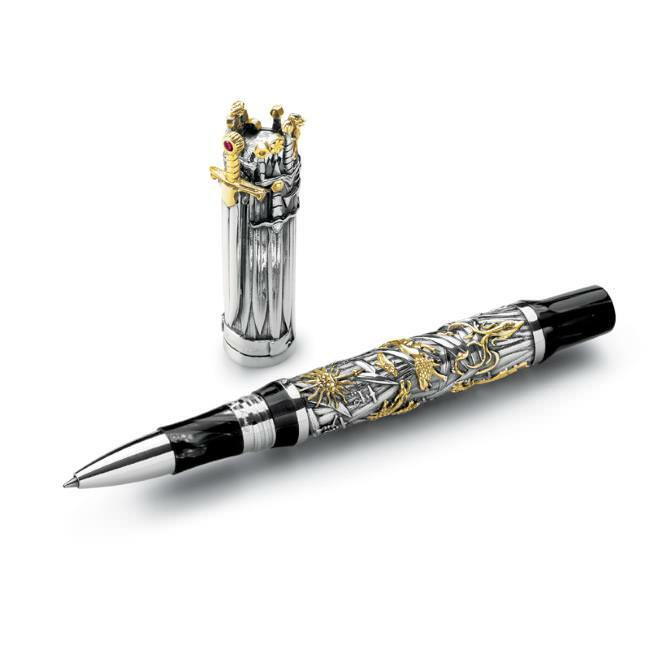 The fountain pen is piston fed, with nib traditionally made in 18k gold, engraved with the image of the throne itself.